What does DinDin Party do to keep events safe? How does DinDin Party handle Host Vetting? How does DinDin Party handle Guest Vetting? How secure are my Financial Transactions? What Should I Do to Keep DinDin Party Events Safe? 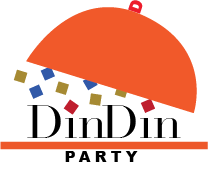 The heart of DinDin Party is our community of Hosts and Guests who come together to break bread, laugh, talk, play and connect. To build a trusted community, Hosts need to feel safe welcoming new people into their home. Guests need to trust that Hosts are competent, capable. and provide a safe place for their events. And, both Hosts and Guests need to trust that DinDin Party will keep their privacy and financial information safe. At DinDin Party, everyone’s safety is our highest priority. We’ve put several processes in place, from the time you visit our site, until well after the DinDin Party is over, to help foster building the kind of intimate and safe community we all can trust. A verified Guests option that requires photo proof of identification. (Earns DinDin Party badge). Minimum of two guests from different addresses for the DinDin Party to occur. Private Messaging System to ask Guests any questions. Hosts can opt to manually approve each guest. Guests pay ahead by credit card. Guests are rated and reviewed by Hosts. Each host is vetted and approved. DinDin Party badges for completion of Accredited Food Handler Certificate. Each host must create a profile with a personal photo. Photo of the location of their DinDin Party on their event listing. Private Messaging System to ask Host any questions. Off-site credit card processing via Stripe, so no credit card information kept on Dindinparty.com. Hosts are rated and reviewed by Guests.